ESI Technology manufactures and designs their products in a purpose built facility in Wrexham, UK. From this base, over three quarters of the products are exported around the globe to all the major industrialised countries. Since 2009 ESI Technology have been an independently run part of SUCO GmbH. ESI Technology pressure transducers and pressure transmitters were originally designed for challenging aerospace and military applications. A variety of technologies have been used according to the application but nowadays the Silicon-on-Sapphire technology is the jewel in the crown. Silicon-on-Sapphire technology gives superior performance to older construction methods and combined with a titanium diaphragm and all titanium wetted parts provides excellent physical and chemical resistance. 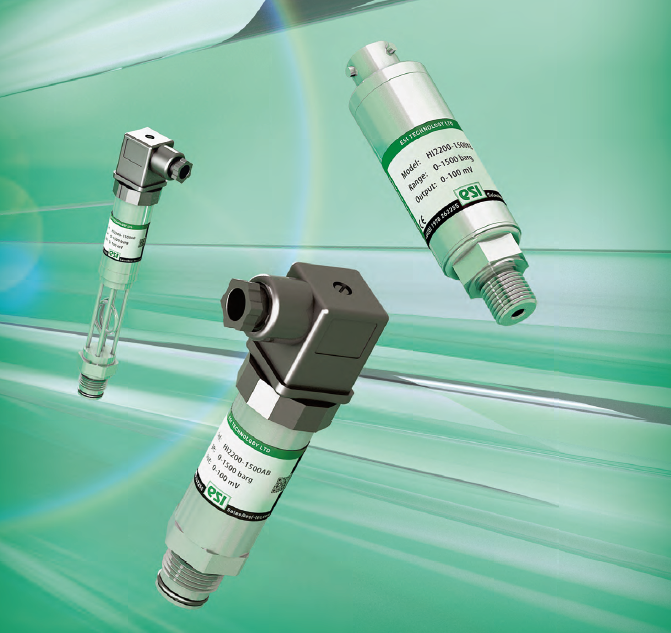 Pressure measurement is often conducted in critical conditions that is why ESI Technology pressure transducers and transmitters are pre-conditioned for their environment. Testing is an integral part of their manufacturing processes which is why you can rely on ESI Technology pressure sensor for hazardous areas and intrinsically safe applications ESI Technology have a range of pressure sensors with ATEX and IECEx certification for gas atmospheres, dust atmospheres and mining.